Hi, admin! After installing Fall Creators Update (1709) on Windows 10 computer, I cannot access the shared network folders from my computer. Interestingly, only some network folders on NAS devices and some other computers on my local network (not a domain) became inaccessible. 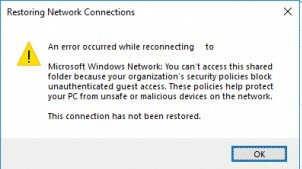 Microsoft Windows Network: You can’t access this shared folder because your organization’s security policies block unauthenticated guest access. These policies help protect your PC from unsafe or malicious devices on the network. Other computers have not yet upgraded to 1709, and there are no problems with network access. What can I do in this case? Rollback 1709? The matter is that, as part of the removal of old unsafe versions of the SMB protocol (remember the wannacry ransomware attack, which was just performed through a vulnerability in SMB v 1.0 ? ), Microsoft in Windows 10 Fall Creators Update (Windows 10 Enterprise and Windows 10 Education editions) and Windows Server 1709 (both in Datacenter and Standard editions), in addition to completely disabling SMBv1, by default it also blocked network access under the guest account to the remote system using the SMBv2 protocol. The problem is that when accessing a network folder under a guest record, such methods of traffic protection as SMB signing and encryption are not used, which makes this type of access vulnerable to MiTM attacks. In Windows 10 Home and Pro 1709, these changes are not applied and the network access under the guest account is working fine. That’s why when you try to access SMBv2 network folders under the guest account (in most cases NAS devices use guest access) or shared folder on the computer with older Windows versions you get this error. According to the previously published table of supported versions of SMB in different versions of Windows, SMB 2.0 is used in Windows Server 2008 and WIndows Vista SP1, and SMB 2.1 in Windows Server 2008 R2 and Windows 7. 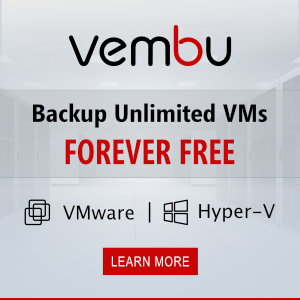 If this solution does not help, maybe your NAS (or another remote device which provides access to network folders over SMB) only supports SMBv1. 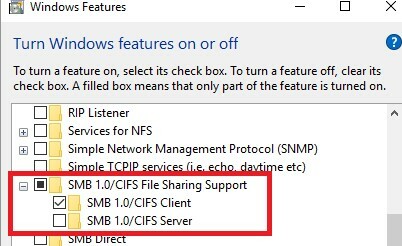 Try to enable this protocol on your Windows 10 device (Windows Features -> SMB 1.0/CIFS File Sharing Support -> SMB 1.0/CIFS Client). However, you should understand that using this workaround is not recommended, because this reduces the level of protection for your system. The problem was solved by installing the SMB v1 Client. Thank you!